Fruit is an essential part of your daily diet because it supplies essential vitamins and minerals that contribute to good health. Green grapes are a healthy choice and are low in calories, contain zero grams of fat. It is simple to add these tiny fruits to a variety of healthy dishes to enhance the flavour and add nutrition. When you include plenty of fruit in your daily diet, you reap many health benefits. It helps to reduce your risk of chronic diseases such as cancer, stroke and heart disease. Green grapes contain vitamins C and K. Vitamin C plays an important role in preventing infection and also promotes the health of your bones, teeth, gums and blood vessels. Green grapes are a healthy choice that will help you meet the daily recommended intake of 2 to 3 cups of fruit. Eat a handful of green seedless grapes as a healthy and simple way to add this fruit to your diet. Add them to a fruit salad or a tossed green salad. Puree green grapes into a fruit smoothie or scatter them over a bowl of hot or cold cereal. 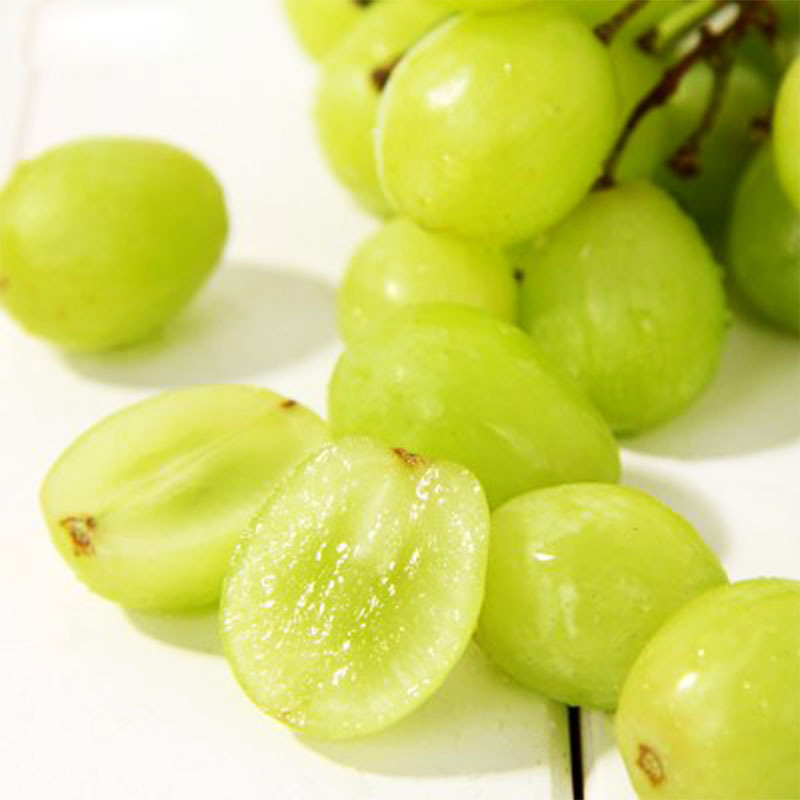 There are a lot of recipes of green seedless grapes that makes it easy to eat and to enjoy them.